The vast cave temple complex at Po Win Daung is home to shallow niches scratched out of the sandstone by hand that sprawl on and on, seemingly endlessly. A kilometre or further is the even more stunning Shwe Ba Taung, which some have taken to calling Burma’s Petra, but we think of it as more of a Burmese take on Ethiopia’s Lalibela. Both lie across the Chindwin River to the west of Monywa town. Po Win Daung has literally hundreds -- our guide reckoned 900 -- small temples and shrines dotting its scrub-covered hillsides, culminating in stupas and temples along the ridge line. It’s all appreciably low-key, unrestored and free of tourist coaches. The site is thought to have been conceived in the 14th century, though cave temple construction went on until quite recently. The majority seem to be post Bagan, 14th to 17th centuries, while most of the fading interior murals are reckoned to be 17th or 18th centuries. Footpaths and stone staircases link one to another so you could spend a lot of time here. We hired a local guide and were very grateful we did. Locals will propose their services as you arrive in the carpark. Our guide spoke excellent English and was well informed and enthusiastic. We agreed on a 3,000 kyat rate for an hour’s tour. Another big advantage to hiring a guide is that they’ll also help fight off the hordes of pesky macaques that infest the area. Many temple interiors contain murals and some interesting Buddha figures, so having someone show you around and point them out is sensible. Some have been carved out of natural low cliffs or boulders while others are reached through hacked out passageways, Shwe Ba Taung-style. Again this is all sandstone and the hill contains no natural caves. Meanwhile nearby Shwe Ba Taung is regrettably overlooked by many visitors (or lazy tuk tuk drivers) though to our mind it’s even more stunning. This was originally a flat sandstone outcrop and deep, narrow pathways have been hacked out of the rock. 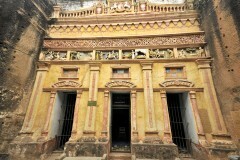 The vertical sides have then been carved out again to create rows of temples on both sides. This entire labyrinth of temple and shrine-lined rock passageways has been hacked out of the solid rock by hand. Even the shrines’ Buddha images are carved and detached from the interior ... please log in to read the rest of this story. Last updated on 16th September, 2016. 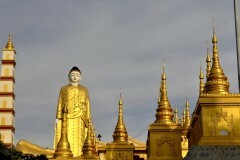 A selection of some of our favourite sights and activities around Monywa. Browse our independent reviews of places to stay in and around Monywa. Read up on where to eat on Monywa. 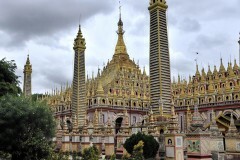 Check out our listings of things to do in and around Monywa. 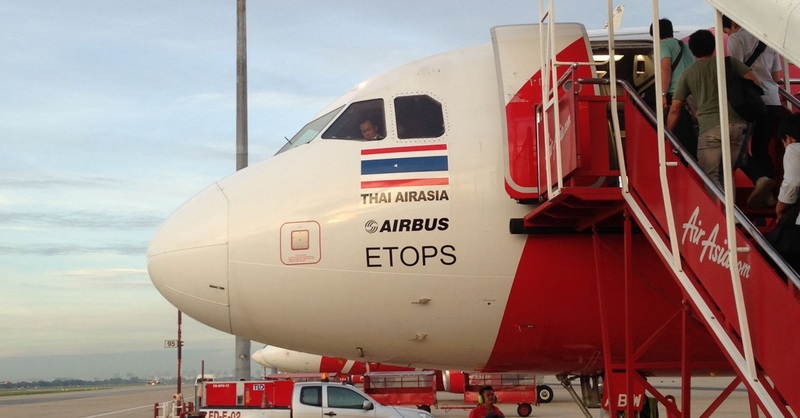 Read up on how to get to Monywa. Planning on riding a scooter in Monywa? Please read this. See below for more sights and activities in Monywa that are listed on Travelfish.org. Where are you planning on heading to after Monywa? Here are some spots commonly visited from here, or click here to see a full destination list for Burma_myanmar.